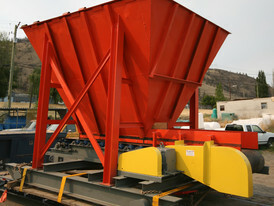 Savona Equipment is a dump truck supplier worldwide. 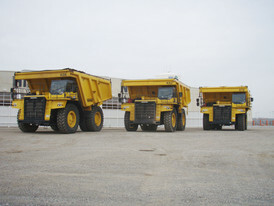 Major dump truck manufacturers include Volvo CE, Terex, John Deere and Caterpillar. 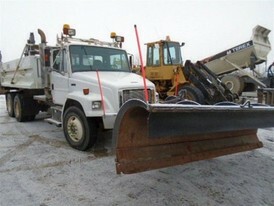 There are a variety of different types of dump trucks as listed below. 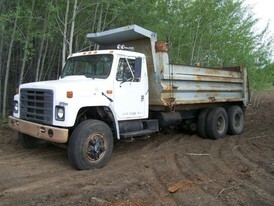 Standard Dump Truck: A truck chassis with a dump body mounted to the frame. 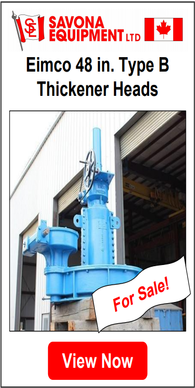 The bed is raised by a vertical hydraulic ram mounted under the front of the body, or a horizontal hydraulic ram and lever arrangement between the frame rails. Transfer Dump Truck: A standard dump truck pulling a separate trailer with a movable cargo container, which can also be loaded with construction aggregate. 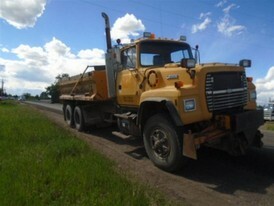 Truck and Pup Dump Truck: Consists of a standard dump truck pulling a dump trailer. The pup trailer, unlike the transfer, has its own hydraulic ram and is capable of self-unloading. 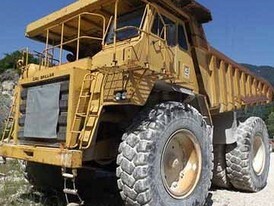 Superdump Dump Truck: A straight dump truck equipped with a trailing axle, a liftable, load-bearing axle rated as high as 13,000 pounds (5,897 kg). Trailing 11 to 13 feet (3.35 to 3.96 m) behind the rear tandem. 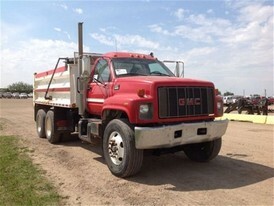 Semi End Dump Truck: A tractor-trailer combination wherein the trailer itself contains the hydraulic hoist. 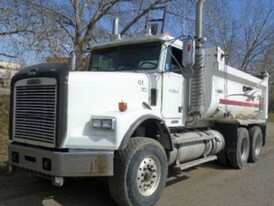 A typical semi end dump has a 3-axle tractor pulling a 2-axle semi-trailer. 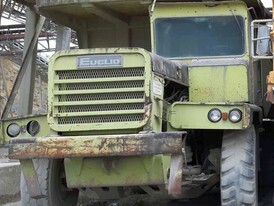 Semi Bottom Dump Truck (or "belly dump"): A 3-axle tractor pulling a 2-axle trailer with a clam shell type dump gate in the belly of the trailer with the ability to lay material in linear heap. 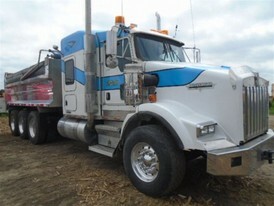 Side Dump Truck (SDT): A3-axle tractor pulling a 2-axle semi-trailer. 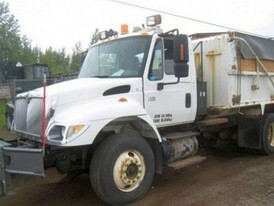 It has hydraulic rams which tilt the dump body onto its side. 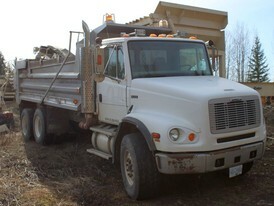 Off-highway Dump Trucks: Bigger off-highway dump trucks are used strictly off-road for mining and heavy dirt hauling jobs. 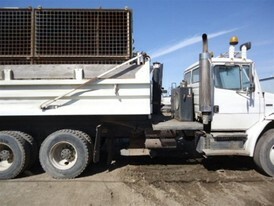 The term ‘dump’ truck is not generally used by the mining industry. 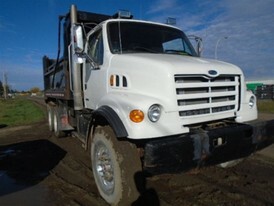 The more appropriate term for this strictly off road vehicle is "haul truck".